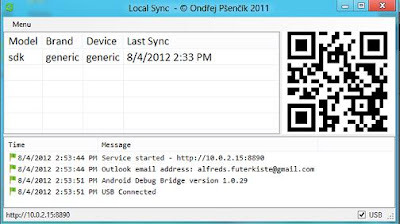 Local Sync is installed in PC with Microsoft Windows and Local Sync is installed in Android. Adb capable drivers are installed in the Windows PC. In Windows Local Sync you can select directory which will be root for file synchronization (you can later show this dialog by double clicking on paired PC in Windows Local Sync), press OK button. 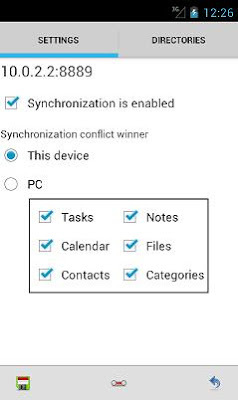 In Android you can additionally configure conflict priority, what to synchronize plus directories if you want to synchronize files. Press Save button in the Android. You can now start synchronization by pressing SYNC! button in Android Local Sync. 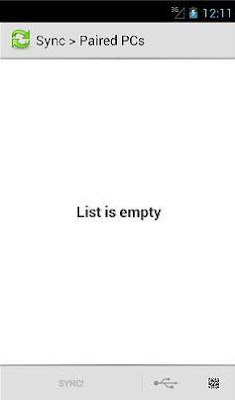 Ensure that in Contacts application Local Sync account is visible (Menu - Contacts to display for Android 4.1) and that in Calendar application Local Sync calendars are visible Menu - Calendars to display, if you are new to Android it is the best to have only Local Sync contacts and calendars displayed and not others to avoid confusion.